Heath Henderson is an assistant professor of economics at the College of Business and Public Administration at Drake University. Originally from Rochester, MN, he attended graduate school at American University in Washington, DC where he received a PhD in economics and an MA in international politics. Before coming to Drake University, Heath was a research fellow in the Office of Strategic Planning and Development Effectiveness at the Inter-American Development Bank. Heath's research interests include development economics, econometrics, and computational economics. Much of his research to date has examined equity-efficiency tradeoffs in the distribution of agricultural landholdings in developing countries, particularly in the context of Latin America. He also conducts econometric research, most of which focuses on information-theoretic methods of inference. His work has been published in Agricultural Economics, Journal of Agricultural Economics, and Journal of Development Studies, among other places. 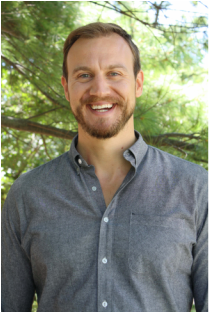 Heath's teaching interests include microeconomics, development economics, and econometrics. At Drake University, he teaches three courses recurrently: Principles of Microeconomics, Developing Economies, and Senior Seminar on Global Poverty. He has also co-taught Sustainable Development in Sub-Saharan Africa, which is a study-abroad course that takes place in and around Kampala, Uganda. Outside of research and teaching, Heath also does considerable outreach, including consulting for the Inter-American Development Bank and the International Fund for Agricultural Development.